Businesses that decided to enter foreign markets often discover that their products and strategies require a certain degree of customization. Changes to the products and promotional strategies are often needed to address a wide variety of issues that that are present in foreign markets and that might not be present in domestic markets. Therefore, a winning strategy requires careful research and planning to ensure that the needs of the market will be addressed from the offset. Upfront planning can help ensure success and avert costly cross cultural, political, legal and regulatory, and competitive mishaps. Certified translators frequently hear stories about companies that made the mistake of ignoring cultural, social and linguistic differences when entering foreign markets. 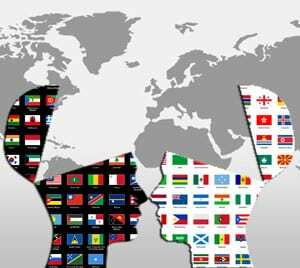 An essential requirement of an effective global marketing strategy is the ability to accurately define and identify significant sociocultural and sociolinguistic deviations. In Hong Kong, for example, McDonald’s offers a number of items that appeal to local tastes such as the Green Tea & Red Bean Ice Cream Sundae. In Thailand, McDonald’s offers the Samurai Pork Burger, which happens to be marketed as the Shogun Burger in China. In India, McDonald’s caters to local tastes with a menu that is spicier and includes chicken instead of beef. Cultural and linguistic difference and preferences can be difficult to identify and integrate into strategies. As many Portuguese translators are aware, while Portuguese is spoken in Portugal, Brazil and Angola, there are significant differences and advertising and other promotional content must be translated into other languages. Therefore, a proper localization strategy requires the use of translators who are fluent in the local dialect. Localization must also account for any logos, symbols or trademarks that could have a cultural meaning. Gerber made the mistake of selling its baby food in low literacy countries. In the countries, products packaging includes a picture of the food item. However, Gerber products include a picture of a baby which confused illiterate consumers. It was widely reported that some shoppers thought that Gerber was selling baby meat.